Becky and Anna attended this years strawberry fest to sell cookies to help raise donations for our new senior food pantry in Waverly, NY. Lockheed Martin Spring Day of Caring and Food Drive! The Tioga County Open Door Mission is so thankful to the employees of Lockheed Martin Owego! Not only did Lockheed Martin bring a team to volunteers they also brought 1913 pounds of food to donate to the three Tioga County Open Door Mission pantries! Thank you Lockheed Martin Owego! The Tioga County Open Door Mission would like to extend a huge thank you to Cornell Cornell Cooperative extension for their wonderful cooking class! The Tioga County Open Door Mission could not be more thankful to the Owego Post Office for their overwhelming donation of food collected through their food drive! The Tioga County Open Door Mission had a wonderful time celebrating all that the Rackers Center and the county has done this year. We had a great time at the Greater Valley Chamber of Commerce Dinner! It was so fun to give our red door cookies! Thank you much Greater Valley Chamber of Commerce for inviting us! The Open Door Mission and a number of other food pantries, community agencies and political officials met to discuss some of the different factors that effect hunger in Tioga County with a representative from Senator Gillibrand's office . After having so much fun doing our Halloween party we decided to have a Christmas themed open mic night! It was a blast! What a great way to celebrate the holidays! The employees of Lockheed Martin Owego worked together to help a family this holiday through the Mission's Outreach Program! Thank you Lockheed Martin! Every year the whole Mission family comes together for a Christmas party! We have a wonderful lunch made by our director Mary Perry -Rogers and assistant director Donna Jantz. The best part of the event if our Yankee swap which makes everyone laugh. So much FUN! Donna and Anna went on the Morning Show to talk about the Mission and our new blog! 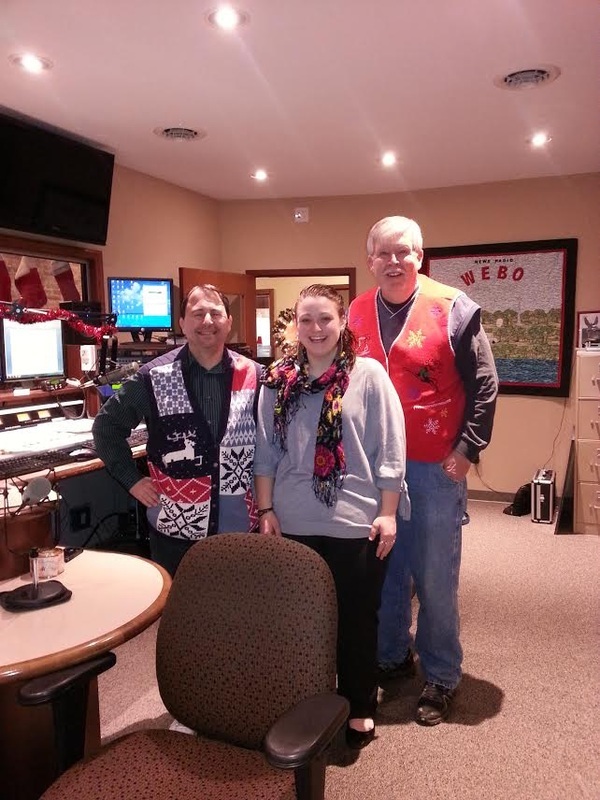 We also brought the guys a couple of ugly Christmas sweaters for them to wear! Every year the Mission gives out gifts to children in Owego to ensure that every child has a Christmas gift. The event is held at the Elks lodge. The local boy scouts and girl scouts help us give out gifts and food, we are so thankful for their help! Every year The Red Door attends Waverly's Tinsel-n-Lights event and we give out gifts to children! It is always a cold and fun event! 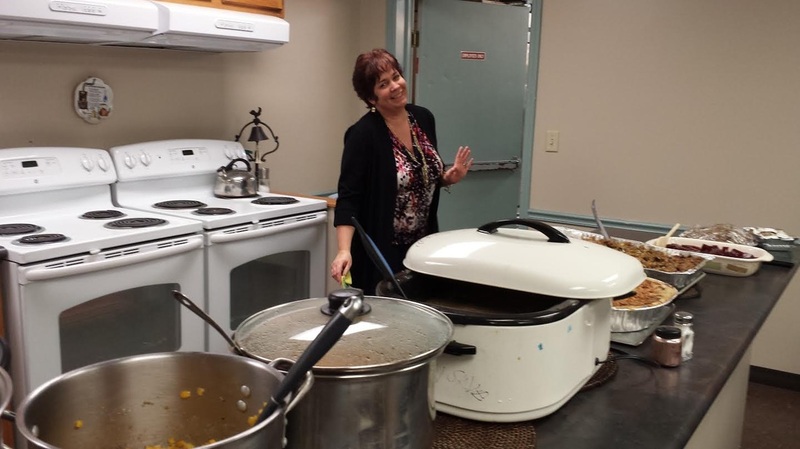 As always Mary Perry-Rogers our fearless director made a wonderful Thanksgiving fest for all of the Mission employees, volunteers and homeless residents so we would all enjoy Thanksgiving as a big family! On Monday November 24th the Outreach team was ready to go bright and early to giveaway Thanksgiving baskets! Although it was a busy event we love it! We are happy to do all that we can to make sure everyone's stomach is full on Thanksgiving! The Tioga County Open Door Mission is excited to be partnering with the Lockwood Methodist Church to open a new food pantry at their church! The pantry is open one day a week on Fridays! Our opening day is November 14, 2014! Lockheed Martin Peanut Butter and Jelly Drive! 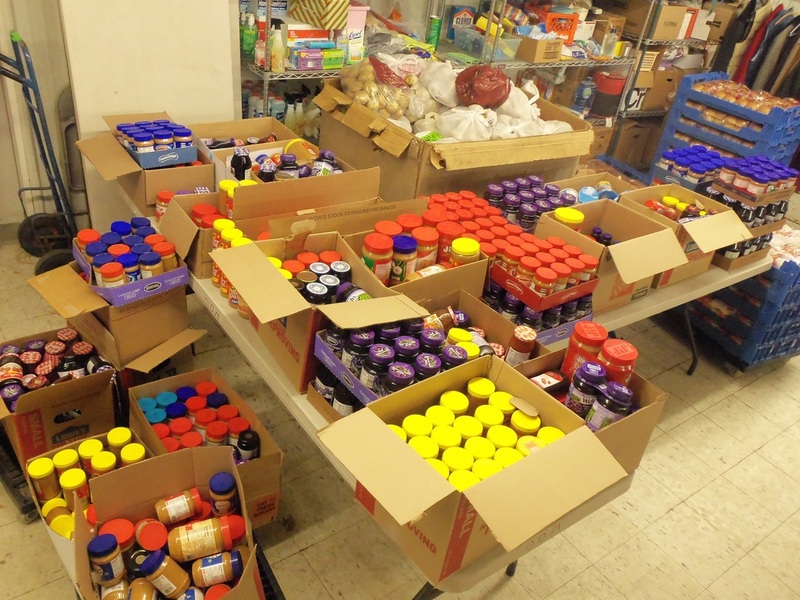 The Open Door Mission is so thankful for the employees of Lockheed Martin and their amazing donation of 844 jars of peanut butter and jelly! Thank you so much Lockheed Martin! 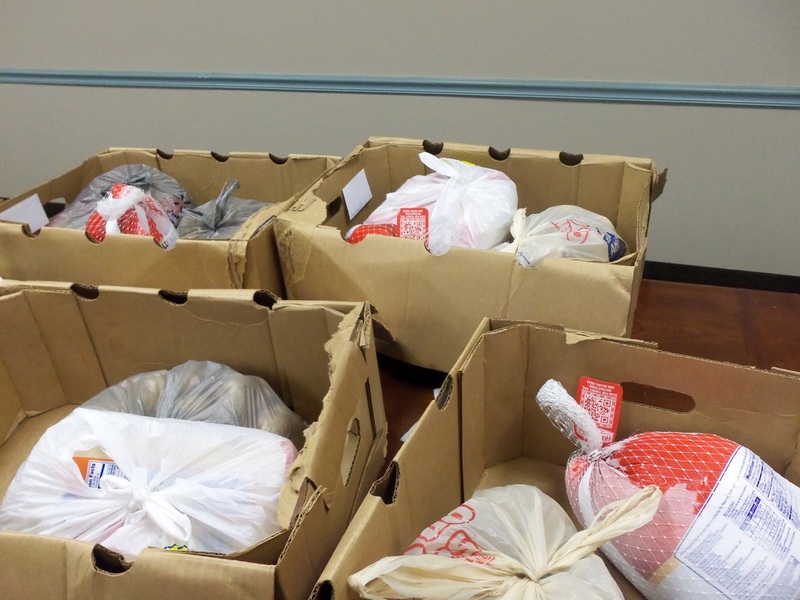 With Thanksgiving coming right around the corner The Red Door and Mission have been busy getting food items together for our annual holiday baskets to help those in need have Christmas and Thanksgiving dinners this holiday season. On Friday November 7, 2014 Darin, Justin and wonderful volunteers worked in the cold to give out Thanksgiving dinners! On October 23, 2014 the Greater Valley Chamber of Commerce held their annual auction fundraiser and this year the Red Door and Open Door Mission were the charity selected to get a portion of the funds raised. The event was a lot of fun starting with Taste of the Valley and then ending with the auction. Many local businesses were generous with their donations of items to the auction. 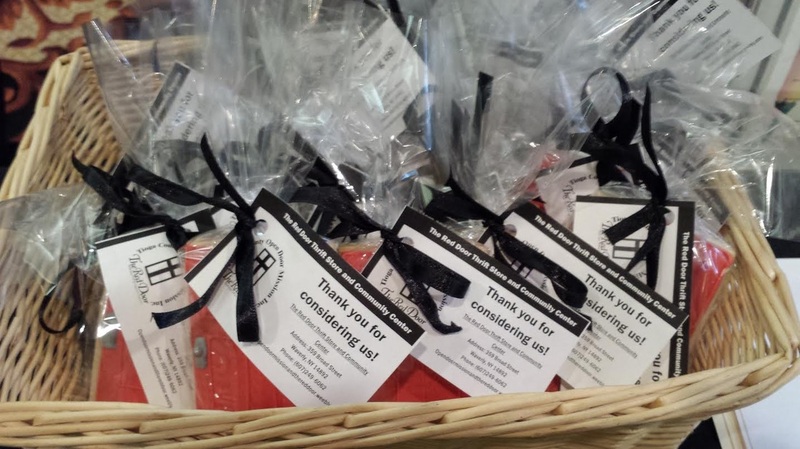 The Red Door and Mission are so thankful for the Chamber's help and support! Lockheed Martin for years has held an annual Day Of Caring as a way to help reach out to the surrounding community. This year we had an amazing group of Lockheed Martin employees who were willing to help with everything and anything. They helped us put out Christmas items, organize scrap metal, hang clothing, wrap gifts for our children's holiday events, and so much more, and they had a great sense of humor through out the whole day. We are so thankful for their time and help. The Waverly Fall Fest is an annual event held by the Waverly Business Association (WBA) to help encourage people to come and see all of the great businesses and community organizations in Waverly, NY. This year was the second year it was held. The Open Door Mission helped with the planning of the event. The Mission also donated pumpkins so local children could come and color them for free during the festival and helped sell raffle tickets for a local scholarship fund.